RS 88. 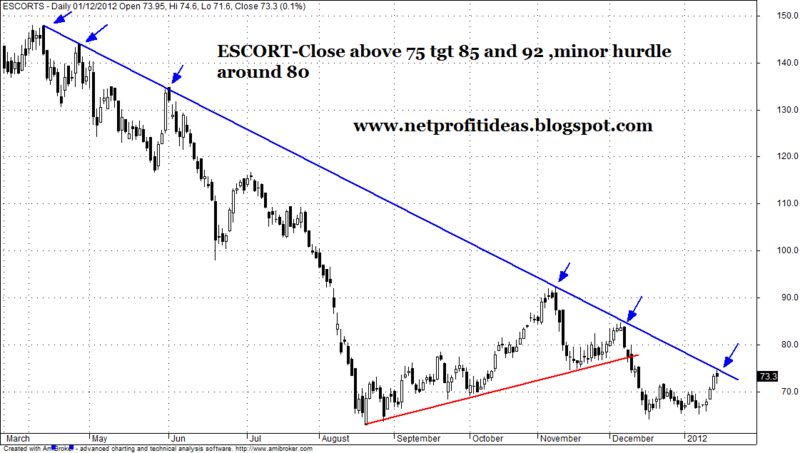 One can keep a stop loss around Rs 78 and buy this stock on declines till Rs82-84. 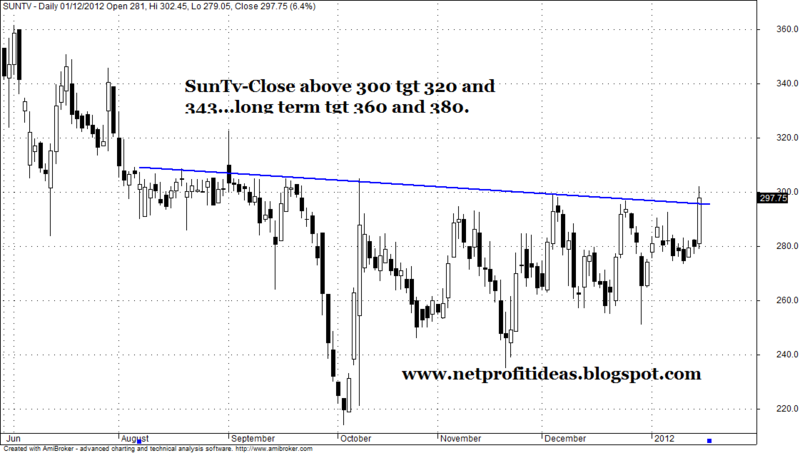 Sun TV likely to be on the uptrend if it closes above Rs 300 on EOD basis. shorter term targets are coming around Rs 320 and Rs343. Once again there is an apex of triangle in IDEA as of 09/03/12. But it is most likely to breakout on upper side since there is round bottom formation from dec to feb and again a very small one from feb to now. 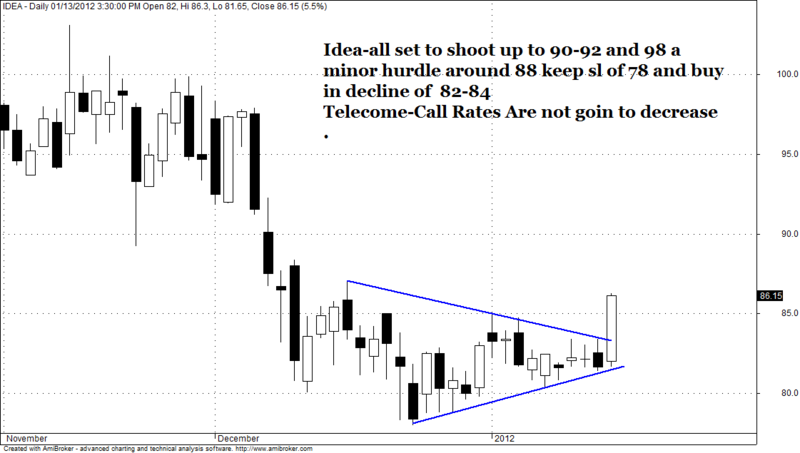 Watch out for resistance at 98. 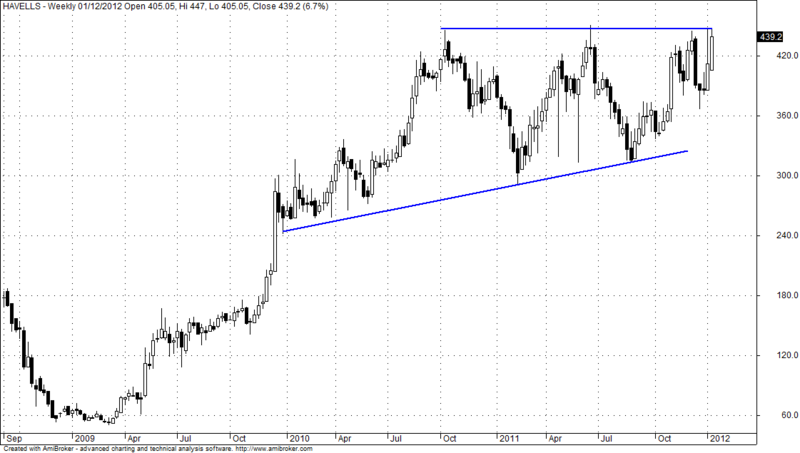 Thanks for the idea EOD chart manan Desai.